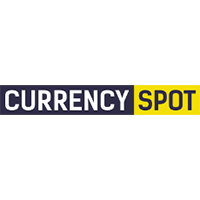 CurrencySpot is Australia’s cheapest, easiest, fastest way to order foreign currency, banknotes and currency cards. With same day delivery and tighter spreads than current offerings, CurrencySpot will lead the market in changing the way customers think about their travel money. No need for long queues and excessive rates at the airport! For the first time ever, individuals and corporates will have instant access to foreign currency through a simple mobile application and a user-friendly online platform. It also allows institutions to offer a full-service currency solution with simplified KYC/AML reporting measures for their clients.